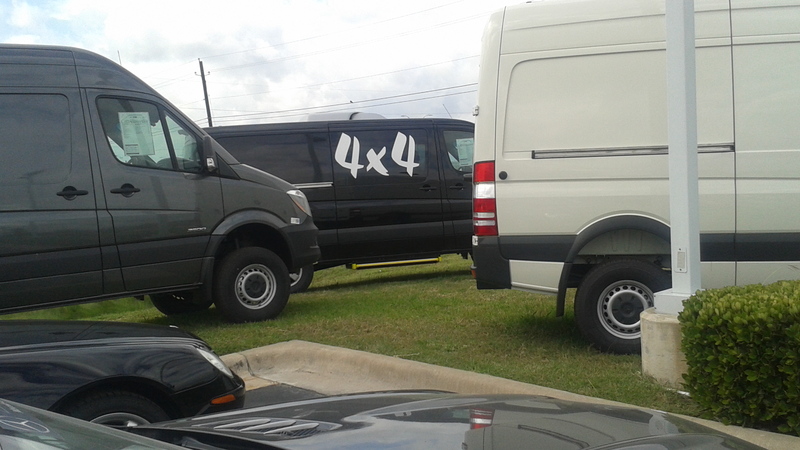 Would you like to know about a Sprinter 4×4 that is available for sale, in stock today? – Dave the #NVguy now at Garlyn Shelton Nissan in Temple Texas, is your Nissan Fleet and Commercial Sales Specialist. Sometimes things happen and people who really wanted something, like a Sprinter 4×4, well things happen and they cannot go forward. Their loss is your gain! So as to not create a bunch of phone calls that I may not be able to handle today, send me an email to dave@sprinterguy.com or complete the drop down box below to let me know you have an interest in getting a Sprinter 4×4 that is built and ready to go right now today! It is a 144″ wbase high roof cargo van. I want to get a 4x4 soon.